*$595 CASH SALE DISCOUNT! * 6.7 POWERSTROKE TURBO DIESEL! DEF DELETED! 4'' STRAIGHT PIPE FROM TURBO ALL THE WAY BACK! FOX SHOCKS ALL THE WAY AROUND! LOAD HOLDER CHAIN! TAILGATE STEP! LEATHER! LOADED! Check out this 2012 F350 Super Duty Lariat 4WD for sale in Effingham, IL! 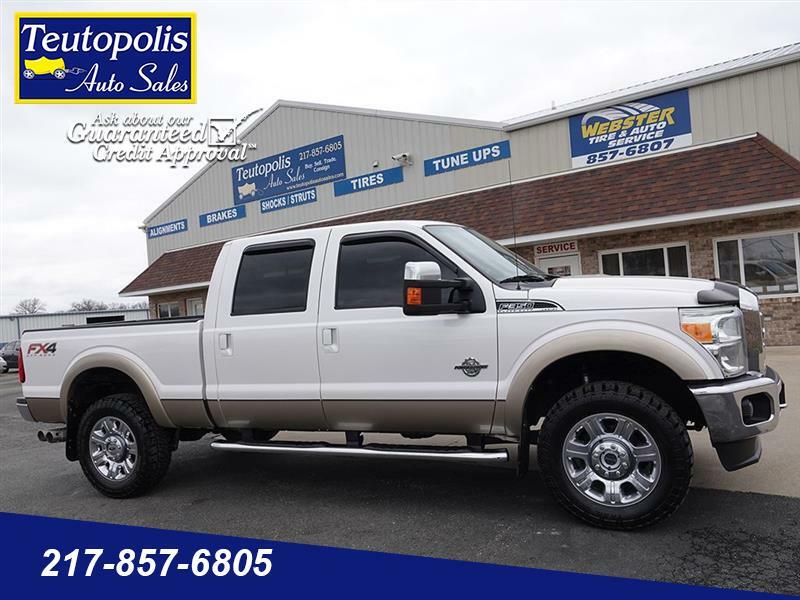 Find this and more quality used cars, vans, SUVs, and trucks for sale at Teutopolis Auto Sales, located between Effingham and Teutopolis along Route 40.